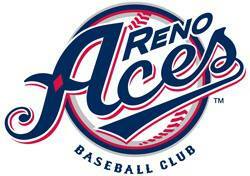 Our entire school will be going to the Reno Aces Education Days on Thursday, May 14. Students can enjoy educational activities before the 11:35 am game against the Salt Lake Bees. They will hear from players and coaches on the value of education regardless of your career path. In the past, they've had fun activities like a scavenger hunt as well! Thank you volunteer chaperones! Please be at the school at 9 am and be ready for a great day outdoors (sunscreen, hats, good walking shoes, packed lunch). We will return at the end of the day (3:30 pm). All attendees, including chaperones, must pay $8 for admission.